In the first act of tonight’s The Good Wife, a revolving door of men step into Alicia Florrick’s office, only to have the newly elected State’s Attorney tell them “no.” Alicia is determined to make good on her promise to not be her husband, letting Fidel Castro, Guy Redmayne, and Lemond Bishop know that she won’t be bought or bullied. Eli Gold quickly steps in to say this is all very bad political behavior, teaching Alicia the art of saying no by saying yes, and as all this happens, a new case regarding copyright law and trademark disparagement. The two stories unfold simultaneously, in the same office, with the camera fluidly moving between the two plots as if they were somehow two parts of a whole or parallel to one another. But the threads that connect Alicia’s new world and her old world with the law firm remain thin at best. Sure, the hacking incident at Florrick Agos & Lockhart (soon to be just Agos & Lockhart), and both parties have to compromise in order to protect their own interests. But the drama of the email leak feels bizarrely artificial for a show that’s usually so good at crafting believable and stirring drama. And Diane and Cary’s places in the show are becoming less clear every week. An eternity ago, the show established that Diane and Cary had problems with Alicia running for public office, but that conflict has been so unaddressed that to have so much of tonight’s episode rely on that tension comes off as a lazy choice. The writers seem to be attempting to justify the fact that Diane, Cary, and Alicia have been so disconnected from each other by creating drama, but that drama is very weak and only exists when it’s convenient for the story. “Undisclosed Recipients” tries to milk conflict out of the negotiations over Alicia’s exit package and out of Alicia and the firm’s clashing interests when it comes to settling the Wharfmaster case, but Cary and Diane brushing Alicia off so nonchalantly just doesn’t feel right for these characters. Even though The Good Wife is constantly shaking up its relationship dynamics, they always remain clearly drawn. That isn’t true anymore, at least for the namesakes of Florrick Agos & Lockhart. By letting Alicia win the election, the writers have opened up a chance to really change the trajectory of the series. This could become quite a different show if we find ourselves spending much more time in the State’s Attorney office rather than the walls of Florrick Agos & Lockhart, a change that seems inevitable considering that’s where our protagonist is headed. But again, what will Diane and Cary’s role be in all of this? Alicia hints at the fact that there could be a lot of courtroom conflict on the horizon if the partners don’t agree to bump up her exit package. Having Alicia go head-to-head against Cary and Diane in court could be a really fun opportunity for the show to get back to the basics with some charged storytelling and once again changed relationship dynamics between the trio. “Undisclosed Recipients” gives me some of the Cary/Diane/Alicia face-to-face interaction I’ve been begging for, but there isn’t much weight to their scenes together. It all feels like very fabricated conflict that’s more of a distraction than forward momentum for any party. Back in the day, this whole email hacking storyline would have probably been thrilling. Part of why it doesn’t work that well here is because the emotional stakes never seem real. Even though characters we know well—like David Lee, Julius Cain, Diane, and Cary—are all hurt by the leak, we’ve been so emotionally removed from all of these characters that their nasty words about each other don’t have as much weight as they should. 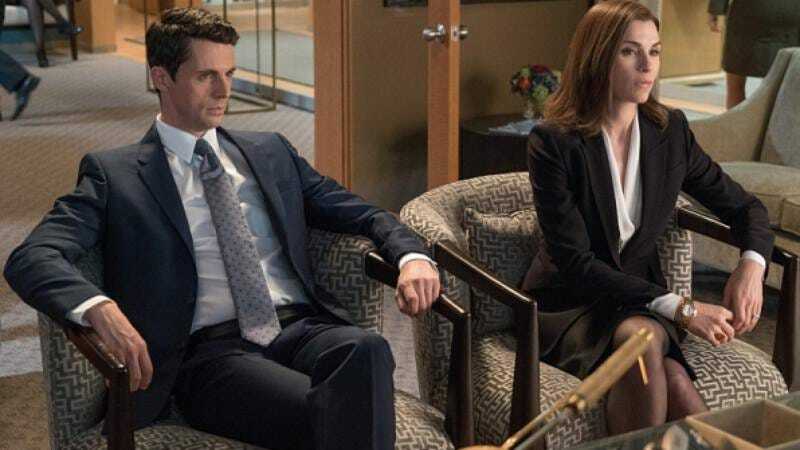 I can see this storyline working when Will Gardner was still around, with him and Alicia equally invested in making sure more emails didn’t get out that could expose them, but here in the sixth season, it just all reads as conflict for the sake of conflict, and this show is smarter than that. The series also continues to draw out Archie Panjabi’s departure, giving Kalinda dumber and dumber storylines that don’t mean anything or tie into the larger narrative framework of the show. In the Wharfmaster case, she’s seen doing some of her usual magic, but it all just makes her seem like a convenient plot device. Her main storyline in the episode has her denying Howard Lyman’s false allegations that he had sexual relations with her in a supply closet, and I think it goes without saying that this character deserves more. I’m starting to sound like a broken record when it comes to the downfall of Kalinda on this series, but I just don’t understand how the writers could let one of television’s best queer characters turn into a simple story device. Of all the things that annoy me about this sixth season, that one hurts the most. The sequence of everyone reading the gossipy emails about each other is some truly great, classic The Good Wife stuff. But as fun as that scene was, it still isn’t enough to make the whole email hack plotline very compelling. I would not be opposed to this show turning into a buddy-cop-style series about Marissa Gold and Alicia Florrick telling men “no,” playing Halo, and smashing bottles of champagne. Eli’s advice to Alicia: “Go slow. Choose carefully.” If only the writers had followed this advice when choosing which parts of the narrative to focus on this week. “Sure, what, shoot you now?” - Marissa’s response to Alicia asking her for a favor. How do I get Marissa Gold as my executive assistant? Even though The Good Wife has been letting me down so often lately, every episode always has a fair share of little moments that remind me why I love the show so much. 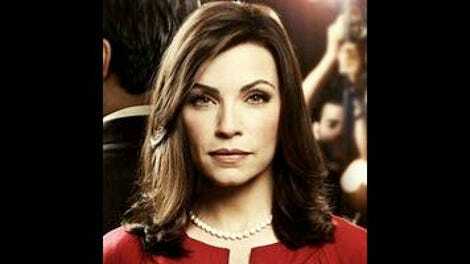 Julianna Margulies is in top form in this episode, playing Alicia’s take-no-prisoners attitude with particular force. Alicia asking Finn to be her deputy means there’s still hope that these two could make out, right?